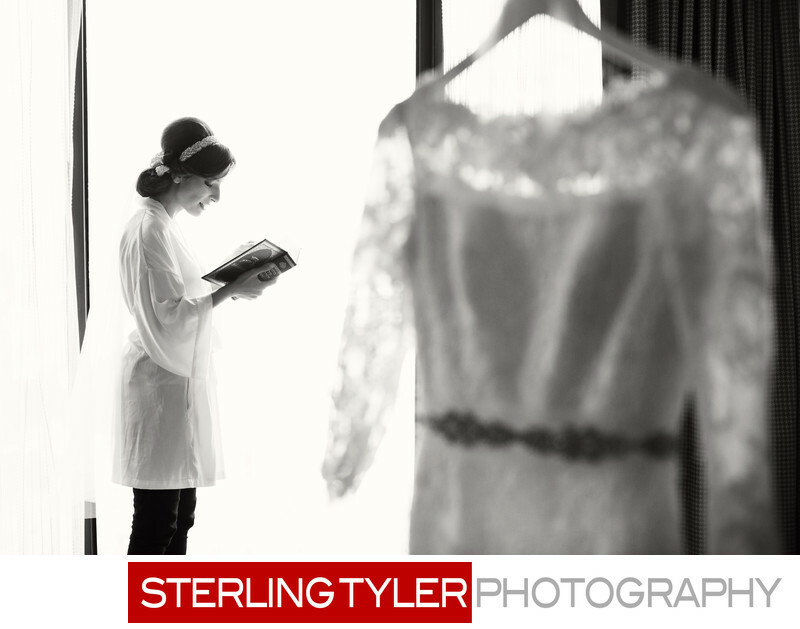 This Orthodox Jewish Bride is Davening (praying) in a white robe while standing by the window at the Sheraton Universal Hotel. She will recite her pre-wedding prayers before she sees her groom. Notice her white lace wedding gown in the foreground.